64 bars max! – velocity not yet totally clear..
to me the first video-seconds looks slightly like the cover of upstairs at eric’s by Yazoo. Live mode: improvise and record notes / automations with the transposable keys, the touchpad or with an external controller. Use the smartpads to play chord progressions, scales and repeated notes. 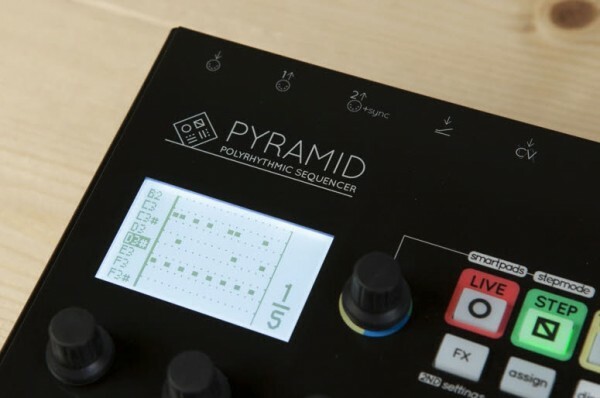 – Step mode: create and arrange rhythms / melodies with the full-real-time step-by-step sequencer. A step can be a note, a chord or a CC MIDI message. – Track mode: set, manage and control up to 16 tracks. Mute/unmute tracks on the fly, change in real-time the resolution, the length, the time signature, the midi channel. – Seq mode: launch your sequences (a group of 16 tracks) on the fly or link them to each other to create a complete song.